There's no reason why Valentine's Day should have a lock on the whole chocolate-gift thing. 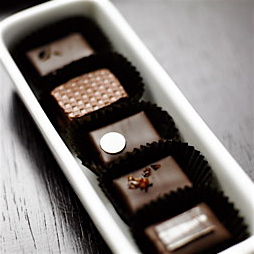 And plenty of chocolatiers are spinning new twists on the tried-and-true Box of Chocolates. 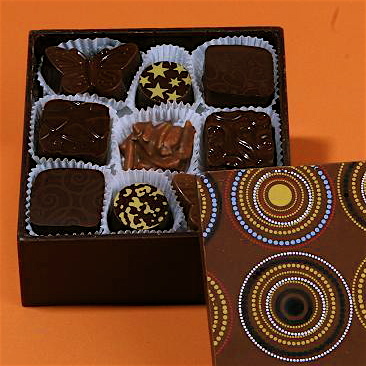 Here's a selection of chocolate gifts from artisanal makers around the U.S. If you don't see your favorite, leave us a comment below and give up some names. What makes them special? How are they different? How much more exercise will we need after getting hooked on them? #(clear n1). 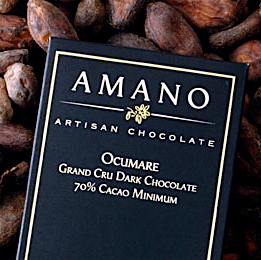 [%image amano float='clear right' width=150 credit="Photo: Amano Chocolates"] Located high in Utah's Wasatch Mountain range in the heart of the Rockies, Amano Chocolates can seem, well, quite rarified. The name, in Italian, means both "by hand" and "they love." Indeed. They only offer chocolate by the bar on their website, but that's enough for us. #(clear n2). [%image charles float=right width=150 credit="Photo: Charles Chocolates"] San Francisco's Charles Chocolates thinks outside the box — sort of. 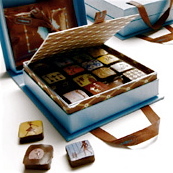 With their Edible Chocolate Box, you can eat the chocs (try the tea-flavored and salted-caramel ones), then eat the box itself. It's chocolate, too. Really. #(clear n3). [%image scharffenberger float=right width=150 credit="Photo: Scharffen Berger"] The Bay Area's Scharffen Berger may have been bought by Hershey, but they're still churning out high-quality chocolate beloved by bakers nationwide. 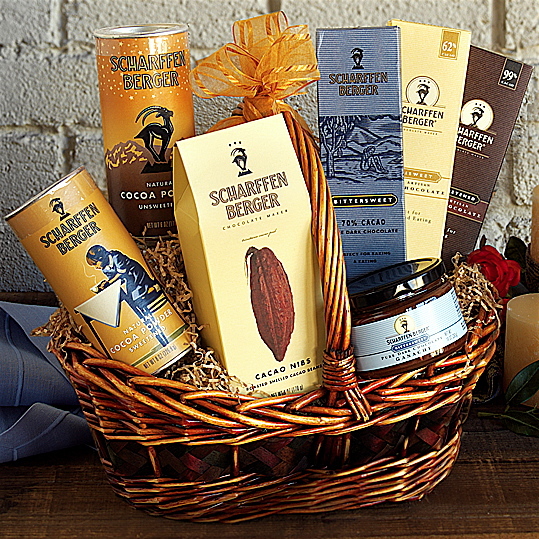 Snag one of their baker's gift baskets, crammed with baking cocoa and bars. #(clear n4). [%image frans float=right width=150 credit="Photo: Fran's"] Seattle-based Fran's Chocolates makes all kinds of traditional candies and cakes, but the company's signature chocolates are elegant versions of candy bars. 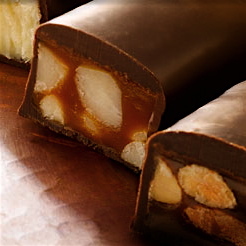 Fran's chocolate-covered Gold Bars are filled with combinations of coconut, caramel, and nuts. 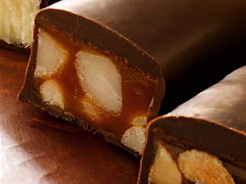 They're like Mounds bars or Snickers bars for grownups. #(clear n5). [%image theo float=right width=150 credit="Photo: Theo Chocolate"] Theo Chocolate, an organic and fair-trade chocolatier in Seattle, makes chocolates (called Confections)  in such unusual flavors as fig fennel and peanut butter and jelly. #(clear n6). [%image marie float=right width=150 credit="Photo: MarieBelle"] The Vanity Box, from New York chocolatier MarieBelle, is basically a box of chocs to go. It's billed as a "purse" (easier to carry than a box, no?) filled with 16 chocolates and two packets of Aztec Hot Chocolate. #(clear n7). 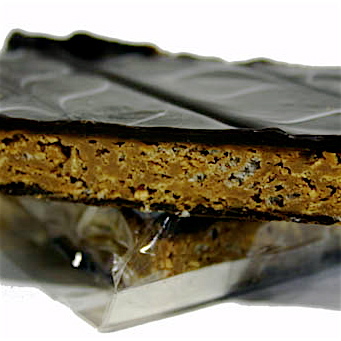 [%image jacques float=right width=150 credit="Photo: Jacques Torres"] Jacques Torres, the French-born, New-York based pastry chef and chocolatier, makes a candy bar for breakfast, featuring layers of milk and dark chocolate sandwiching cornflakes, raisin bran, and crisped rice. Only in America, right? #(clear n8). [%image vosges float=right width=150 credit="Photo: Vosges"] From Vosges Haut-Chocolat in Chicago comes something described as "a library of mini exotic candy bars." 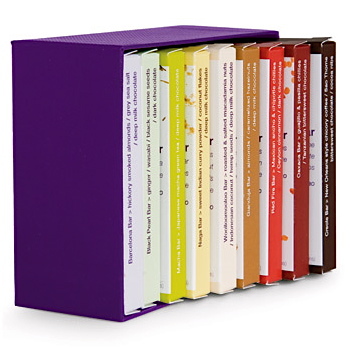 In other words, a different way of boxing chocolates, this time as "books" (candy bars) in a "shelf" (the box). Book titles include Barcelona, Black Pearl, Creole, Gianduja, Macha, Naga, Oaxaca, Red Fire, and Woolloomooloo. *Also on Culinate: An Our Table mentioning the New York chocolate show and an ongoing online discount.